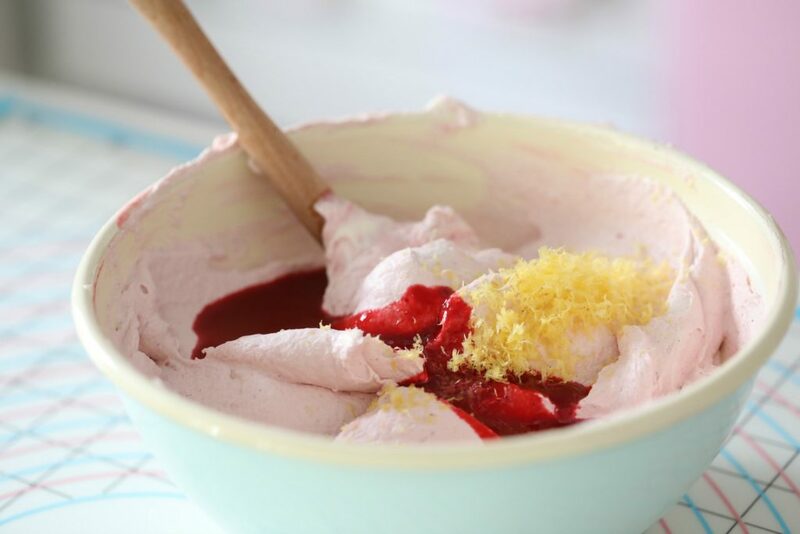 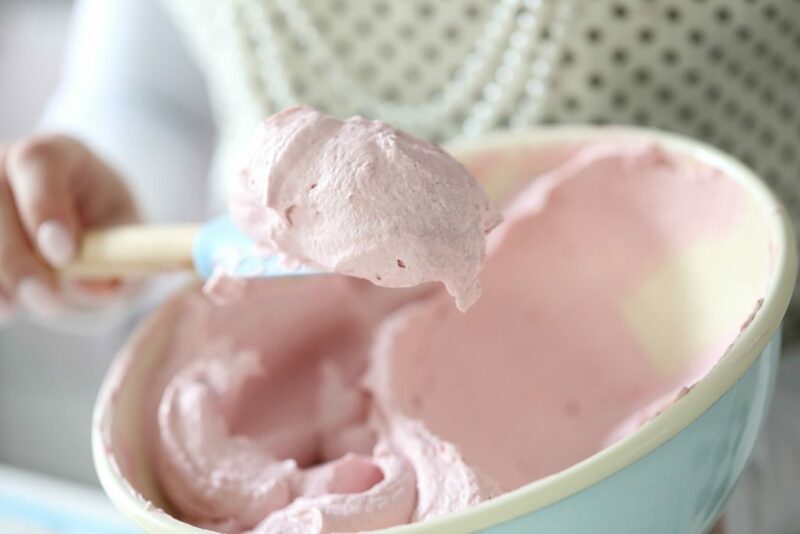 I love this frosting, the combination of raspberry and lemon goes so well together. 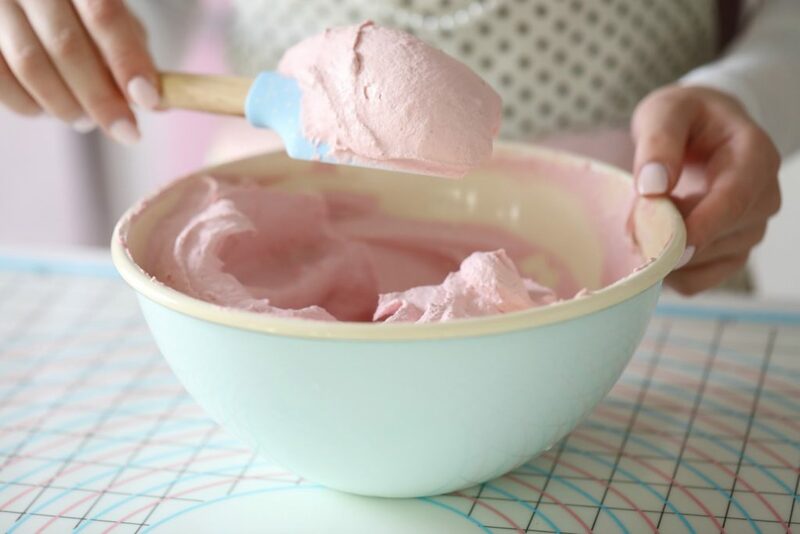 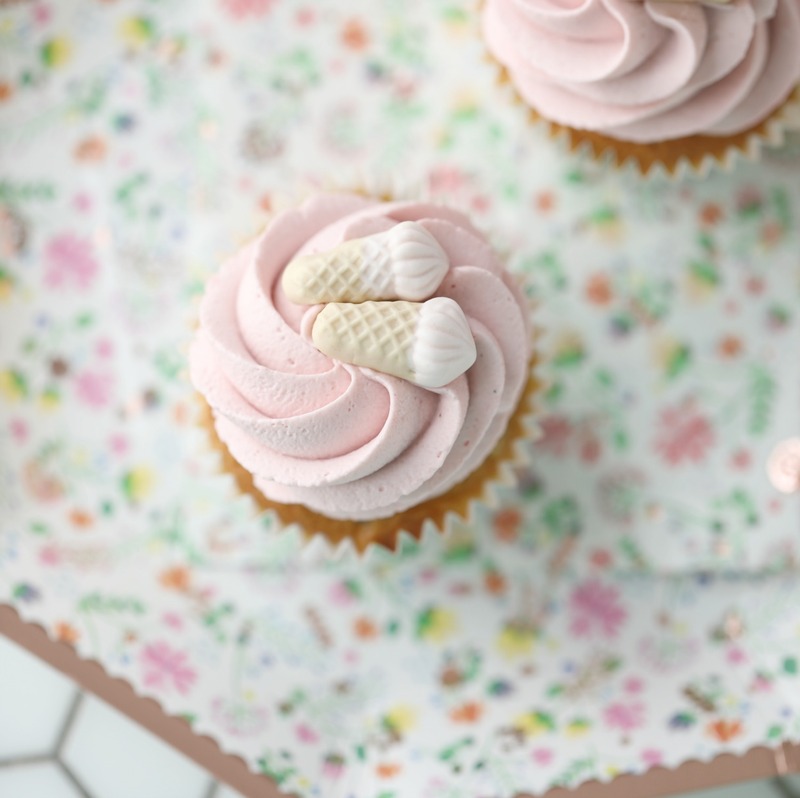 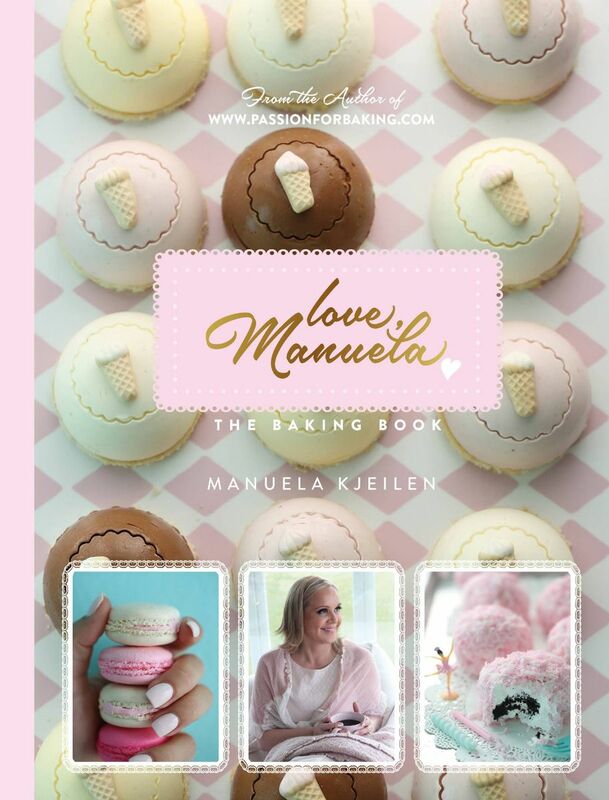 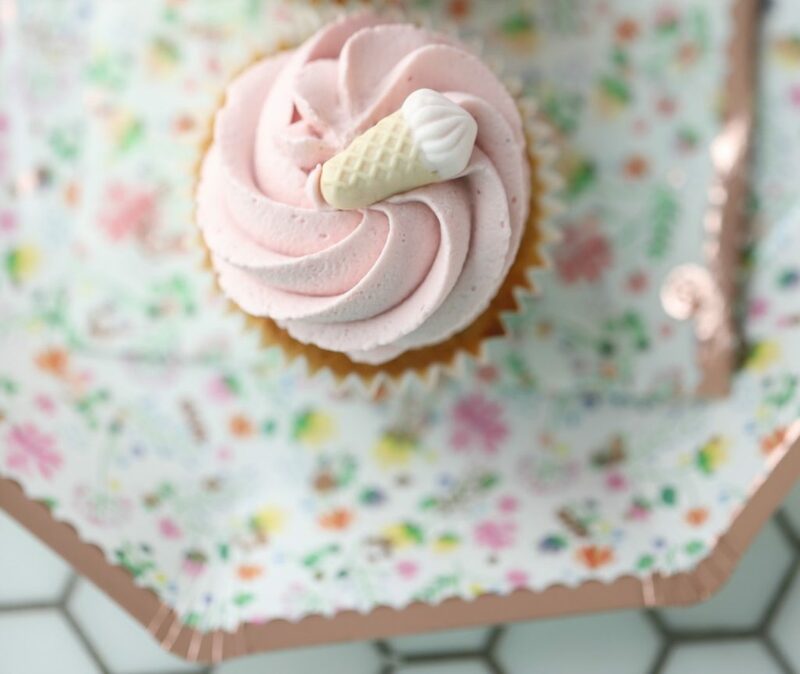 If you are using the cream on cupcakes, be aware because of the real fruit in the frosting, the color will change after some hours, and this lovely pink color will turn into the color of a fresh raspberry! My recommendation is to decorate the cupcakes just before serving, this cream is made in minutes and the decoration is done in a few minutes too. 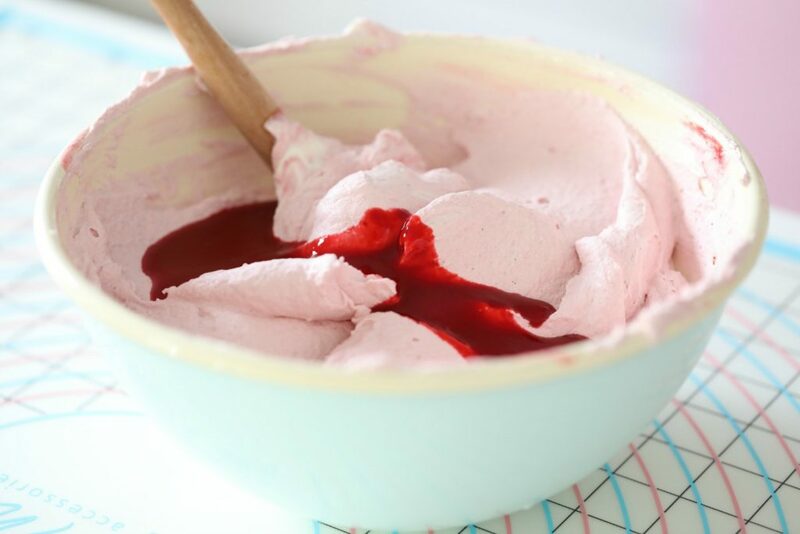 At times I add vanilla bean paste or seeds from a vanilla bean to this frosting and add times I don’t, as the flavor of the raspberry and lemon is so delicious, there really is no need for vanilla, but if you make it with just raspberry flavor and omit the lemon zest and lemon juice, I would add vanilla bean to the frosting and add more raspberry puree, about 1/3 cup. 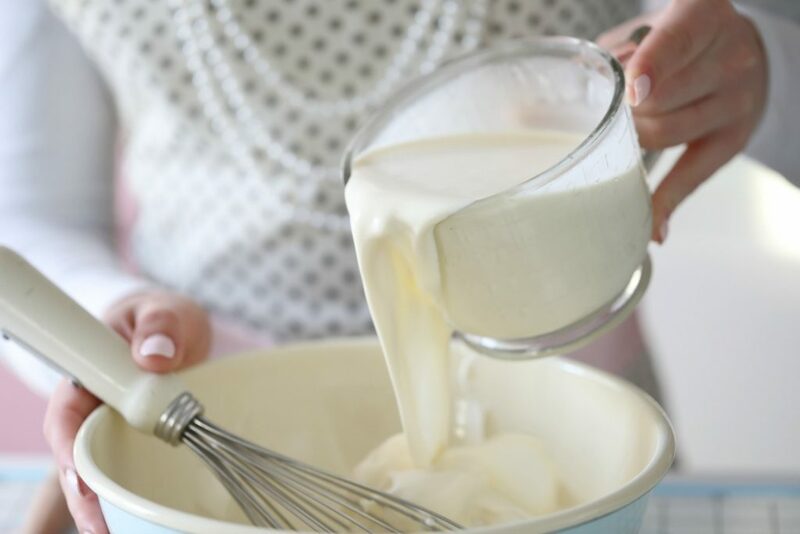 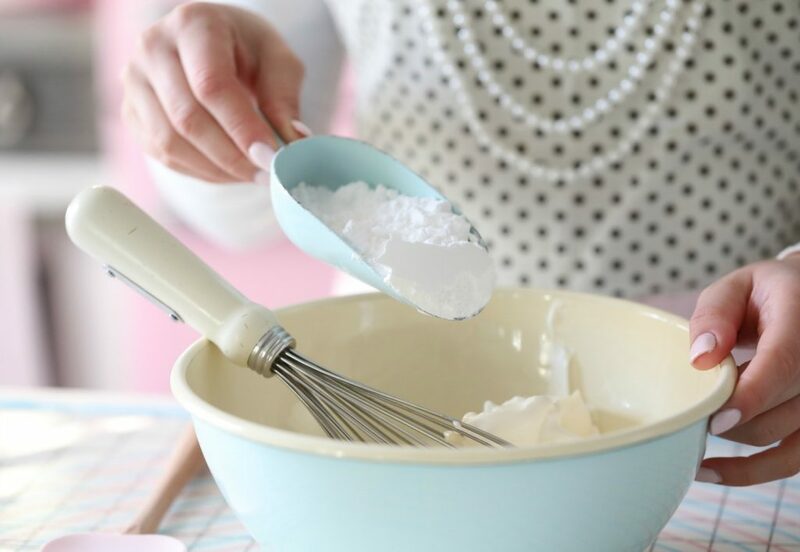 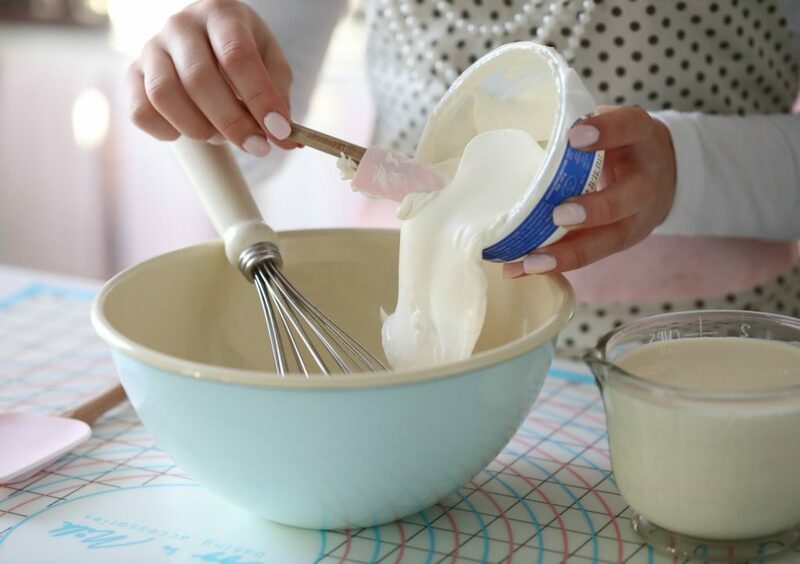 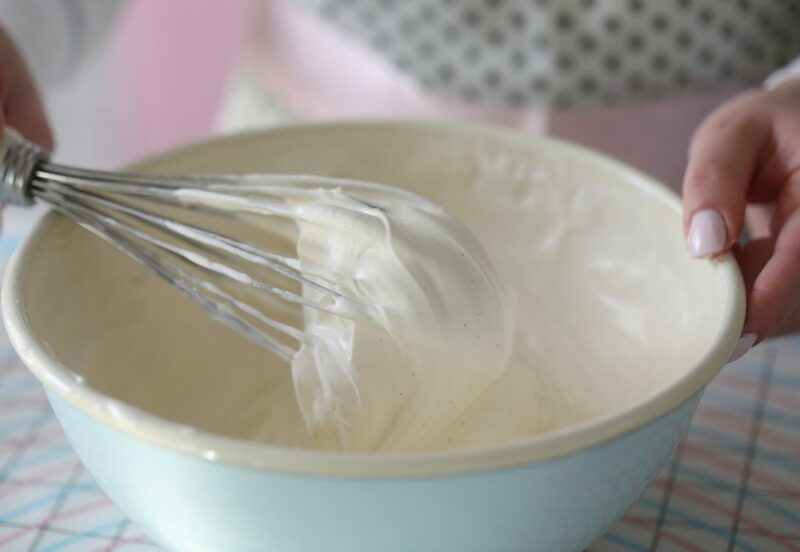 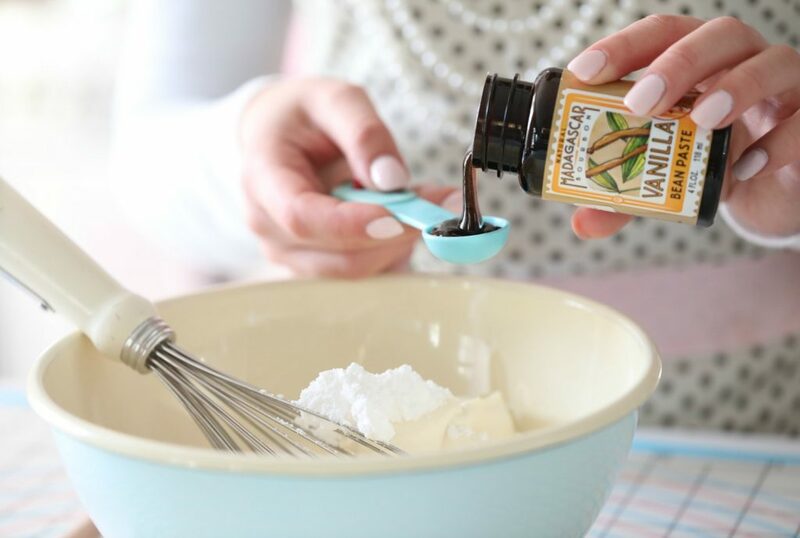 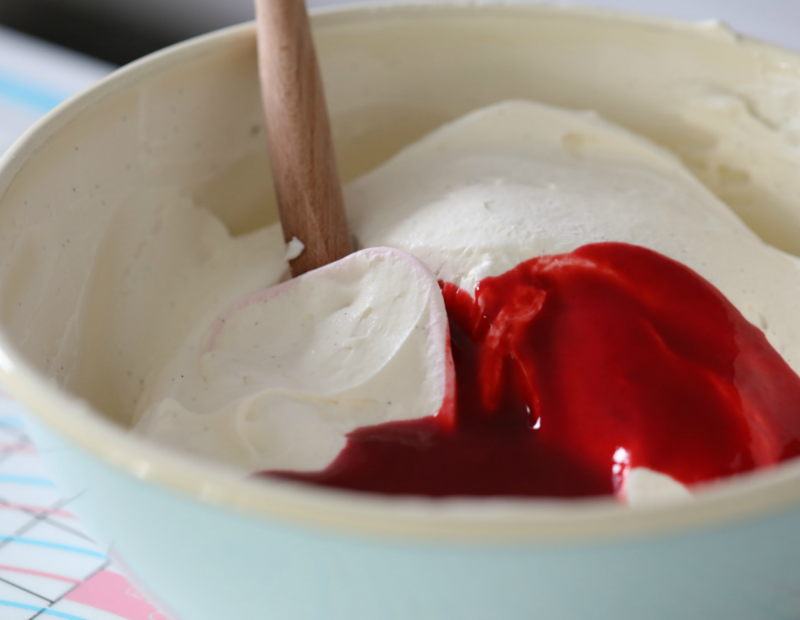 In a bowl whisk together cold heavy cream, mascarpone, powdered sugar and vanilla bean paste until fluffy. 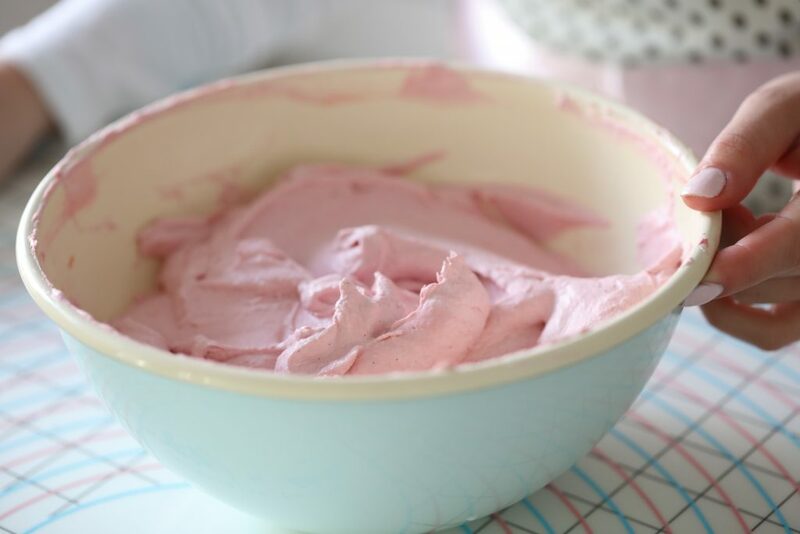 the frosting is now ready to use on cupcakes, or as a filling in cakes.